What If My Dog Bit Someone? As much as we love our pets and consider them to be members of the family, sometimes we don’t do the best job making sure to avoid putting our dogs in situations where they feel threatened or provoked. Dogs that feel threatened or provoked may bite. As we learned in a previous post, over 4.5 million people are bitten by dogs in the U.S. every year—and the vast majority of those bites happen to children and the elderly. Read more about dog bites and your rights here. 1. Avoid circumstances that may encourage your dog to bite. You know what they say: the best treatment is prevention. It’s true in this case too—avoiding situations or triggers that may instigate your dog to bite. It’s important to remember that all dogs can bite because it’s an evolved form of defensive communication. Dogs will generally be more likely to bite if they are under stress of any kind—usually as a result of emotions like pain, fear, anxiety, or arousal. Different dogs have different triggers for these emotions and different responses to them: one dog may be afraid of children, and hide behind its owner upon seeing one; another dog may be afraid of bicycles and lash out upon seeing one by biting the cyclist to defend itself out of fear. Know your dog’s emotional triggers, responses and warning signs so that you can have a sense of how it will behave in different situations. Growling, snarling or snapping, for instance, are ways that your dog is telling you that its nearing its bite threshold. When confronted with such a sign, find a way to put some distance between the dog and the stressor. However DON’T excessively punish the dog for behavior that isn’t biting. Growling is actually a good response for your dog to have to a stressor, because it lets you know that it’s upset. Moreover, if your dog’s angry barking causes you to become angry and threaten the dog, next time it becomes angry it will likely be even more stressed and won’t let you know—until it reaches its breaking point and crosses the line by biting someone. If you dog is growling, snarling or snapping, consider contacting a reputable, licensed dog trainer or behaviorist to help you work through the behaviors before they escalate. Though this may seem self-evident, many pet owners will react to a dog bite by becoming defensive and argumentative against the victim’s accusations, or by becoming angry and punishing the dog. Anxiety or aggression will only stress out or anger the victim even more than they were already (as well as the dog, who may then be incensed to bite again). Conversely, it you are polite and helpful, the victim may be less inclined to pursue legal action against you. 3. Trade detailed identification information. The worst thing you can ever do after an accident like this is to avoid responsibility. Instead, make it clear that you’re a good Samaritan and help the person bitten by your dog. Not only is this ethical, but it’s also a sound legal strategy. Should the bite lead to a personal injury trial and/or insurance settlement, you will be dead in the water if the judge or jury learns that you tried to flee the scene or conceal your identity. This may lead to either you or your insurance company having to pay far more in damages. For these same reasons, you should obviously never lie to protect yourself or your dog in any way. That said, try to be brief in any and all discussions involving the incident to avoid incriminating yourself. You’ll obviously need to detail the incident to police, insurers, or medical care providers, but don’t blab about it to anyone else until you’ve had a chance to fully discuss the incident with your attorney.Advise that the victim receive medical care as soon as possible and assist if necessary. 4. Advise that the victim receive medical care as soon as possible and assist if necessary. Your best hope is that the person your dog bit fully recovers as soon as possible, and medical attention is the best way to ensure that that happens. If the victim does not seek medical help, it could worsen over time. Should this be the case due to a lack of health insurance, hostility regarding the incident or another reason, contact your lawyer as soon as possible to discuss options. It might be in your best interest to offer to pay directly for the medical expenses of the person or pet that was bitten (You will often need to do this right away. 5. Consider notifying the police. Though it may seem incriminating to call the police, attaining a police report is a good way to have the incident thoroughly documented by an unbiased third party and squash any potential false claims the victim may later make in court. 6. Contact your insurance provider. 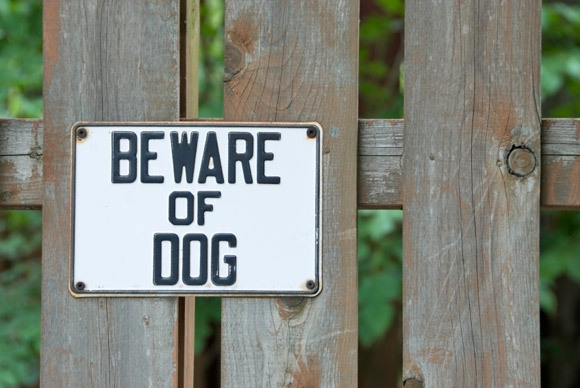 Find out as soon as possible whether dog bite claims are covered under your home or renter’s insurance policy. They typically are. You don’t necessarily have to make a claim (you may decide it’s in your best interest not to if the injuries are minor enough so that you can avoid the insurance paperwork and premium-increases) but if you don’t notify your provider in a timely enough fashion of the incident, you may be unable to make a claim or receive reimbursement at a later time. If you make a claim, you will be assigned an insurance adjuster to protect your rights. If the case is filed, you will receive an attorney to protect your rights—at your insurance company’s expense. If you do not have homeowners or rental insurance coverage that covers dog bites, get it. A rental insurance policy with $500,000 or more in liability coverage should cost you $15 or less a month. 7. Collect all relevant paperwork. Most importantly, make sure to have all of the animal’s vaccination records. This will help cap your liability by ensuring that the victim doesn’t have to seek additional treatment for rabies or other canine diseases. 8. Be aware of what you could be held liable for. In addition to medical care costs and reimbursement for lost wages, dog owners can also be held liable for noneconomic damages and such claims as: bite-related expenses for spouses, pain and suffering of pets after a dog bite, and emotional distress due to the death or injury of a pet. Make sure to ask your attorney which, if any, of these situations may apply to your case. 9. Deal with your dog. After your dog bites someone, you have a few options: You can manage its behavior by keeping it away from any possible situation it would ever have the opportunity to bite again—i.e. keeping it locked up when children visit, never taking it to any location where there may be bicycles, etc. This can be challenging, but effective. However it will mean a decrease in quality of life for both the dog and owner. You can also implement a behavior modification program, or hire someone else to do so. You can find a new home for the dog with someone else who is willing and able to try either or both of the aforementioned solutions. You can have the dog put down. Obviously, this is never anyone’s ideal outcome and we hope that it won’t come to this in your case. However, there are unfortunately some circumstances in which there’s not really another choice. Depending on the severity of the bite, the city or county might require you to do so. If so, ask yourself: will the dog be safe or happy sequestered away from all possible stressors? Can I implement a behavior modification program or afford to hire an instructor for one? Can I realistically find a new home for the dog? And most importantly, is the dog likely to bite again as I undertake these actions? For everyone’s sake, we hope not.